At mega award shows like the MTV VMAs Rihanna usually shows up in a head-to-tea glittered out getup that screams g-l-a-m, but last night in Brooklyn this bad girl swapped gems and jewels for a roughed up, casual-chic ensemble. 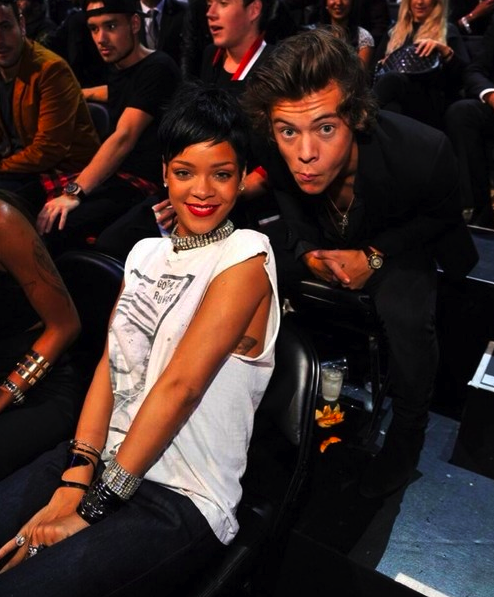 RiRi may have been MIA on the red carpet, but she showed up in the audience to take pics with her One Direction palls. 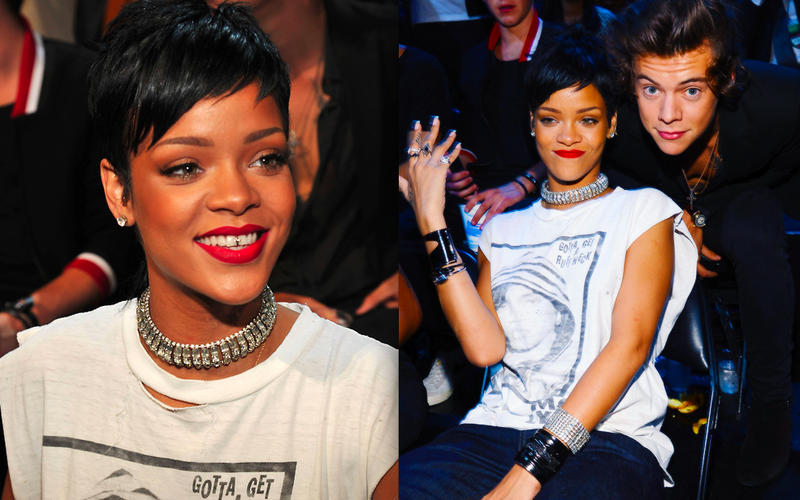 Rihanna made a style statement in a vintage MC Lyte t-shirt, Rihanna for River Island jeans, Monolo Blahnik shoes and Lynn Ban jewels.